KEN YUSZKUS/Staff photo. 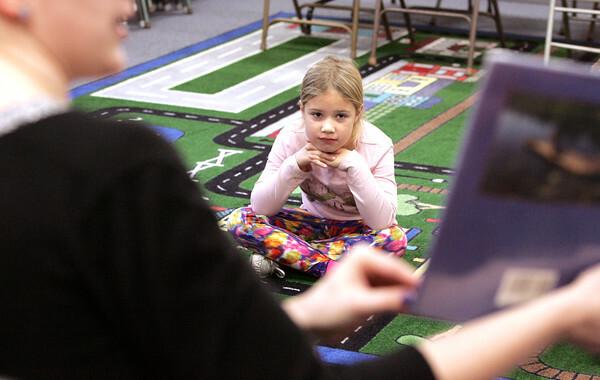 Lila Giard, 6, listens to assistant childrens librarian Simone Lorrain read the book, Tapenum's Day, A Wampanoag Indian Boy in Pilgrim Times, during the Library Explorers program which is an independent story and craft time for grades K-4 held at the Salem Public Library. 11/25/15.